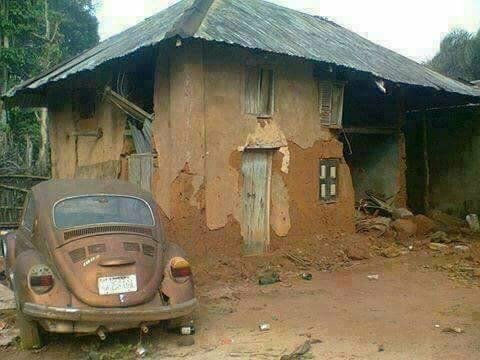 Some years back, it was the most beautiful house in this community. The owner was the richest man in whom all looked up to for support. The vehicle was a cynosure of all eyes. It was like a dream come true when the owner added both house and vehicle to his list of possession. But today, the properties have grown old and in fulfillment of the natural law, must collapse for a new house to develop. Should anyone be found living inside this building as it stands now, such a person is labelled as “insane” and must be kept at arm’s length. Nothing in life is worth fighting for. Your best clothes is someone’s rag. Your account balance is someone’s donation at a function. Your girlfriend/ boyfriend/ fiance/ fiancée is someone’s ex. Every single prostitute you see in a hotel or on the street at night was at some point in time a virgin. So what is the squabble all about? Life is too small to feel bigger or better than anybody. “We are all naked to death,” says Steve Jobs. Nothing can save us from it.